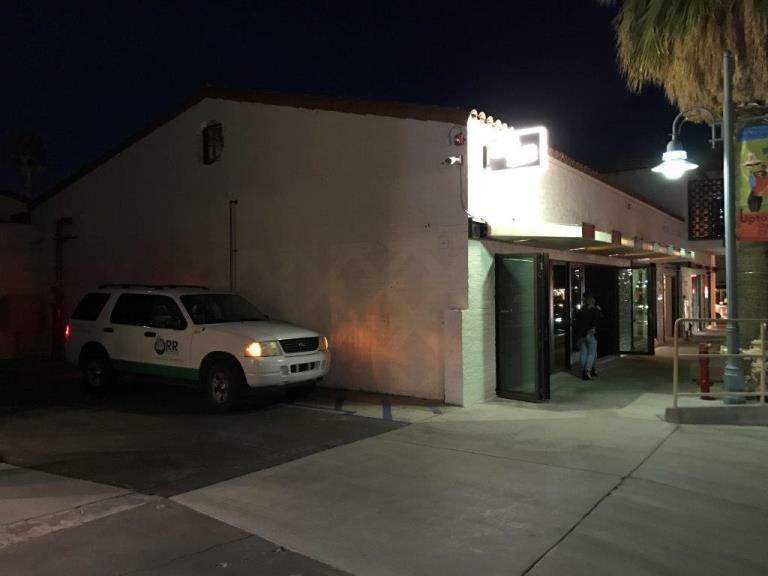 Completed in March by ORR Builders was the Truss & Twine Restaurant project to include interior improvement and structural upgrades within a historical building of downtown Palm Springs Design District – known for eccentric modernism, celebrity residents and stunning architecture. 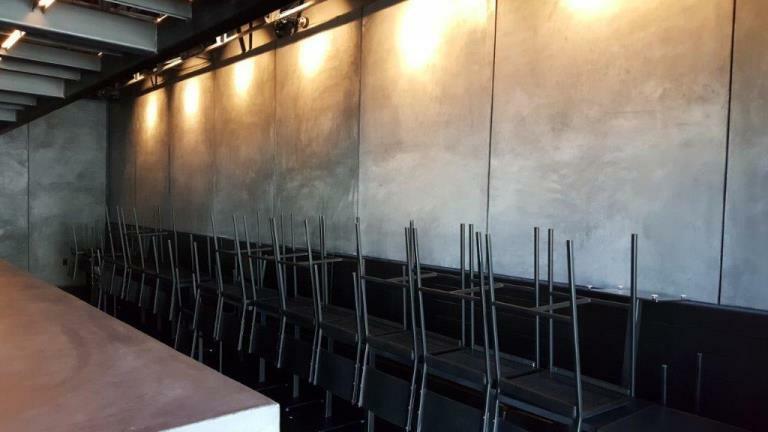 The project is completed and built adjacent to The Workshop Restaurant for Owner/Chef Michael Beckman. The Workshop restaurant is a prominent destination with the honor of being a James Beard Award recipient. Truss & Twine is now part of Michael’s Workshop Restaurant as a separate bar serving a small plates venue and a specialized cocktail menu separated into eras of cocktail culture from the “Golden Years” to “Modern Day”. 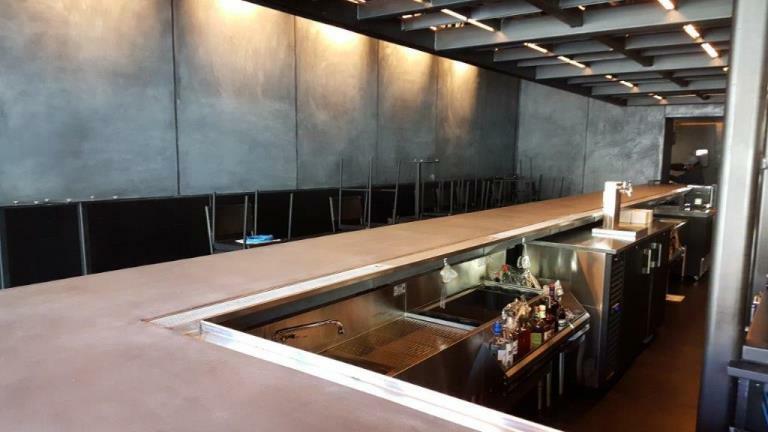 Interiors – everything is black – blackened steel, black concrete, black paint, black plumbing fixtures, and black epoxy floor throughout. 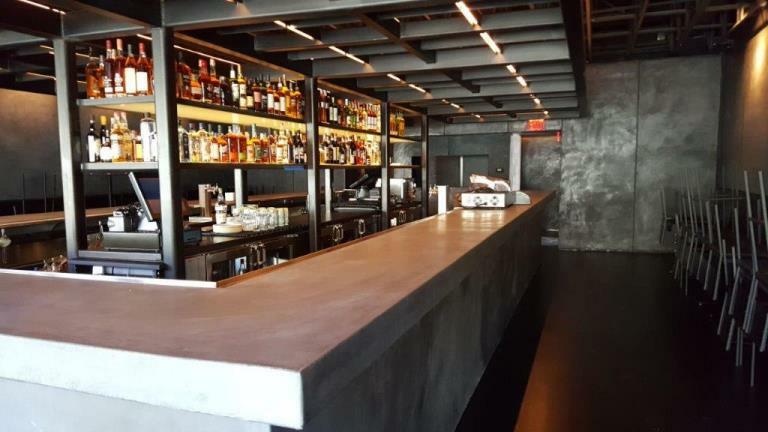 The solid concrete bar, smooth plaster walls, and exposed structural steel canopy throughout the interior of this project highlights the contemporary and complexity of Michael’s passion for food and eclectic experience. The construction was very restrictive by encountering existing structural walls and limited height clearances. Most of the new improvements took place in the tightest areas and was compared to building a “ship in a bottle” as steel crews maneuvered 30-foot long steel beams within limited access pathways. 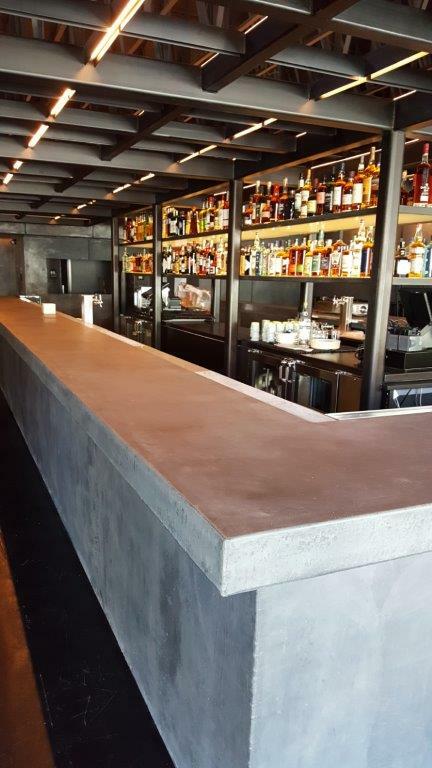 The black concrete bar is a custom formulated colored matrix and internally supported with structural steel that was painstakingly burnished to gently expose the darker crystalline aggregates. During the day the new expansive bi-folding glass doors open to the street and create an expansive feel. 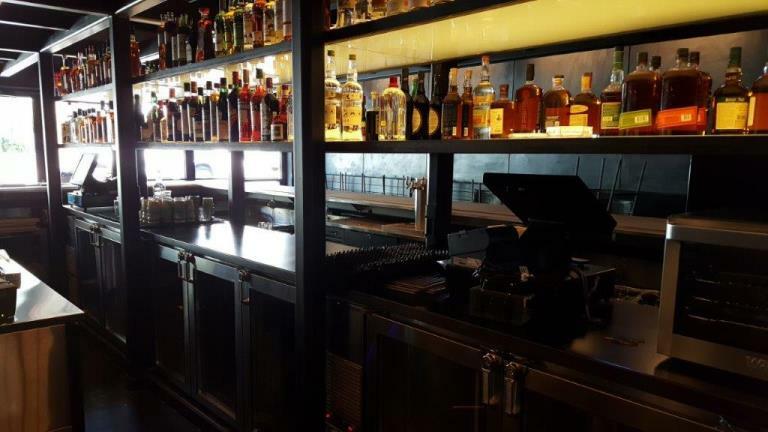 During the night, the custom light-up back bar shelving illuminates Truss & Twine’s unique bottled inventory. 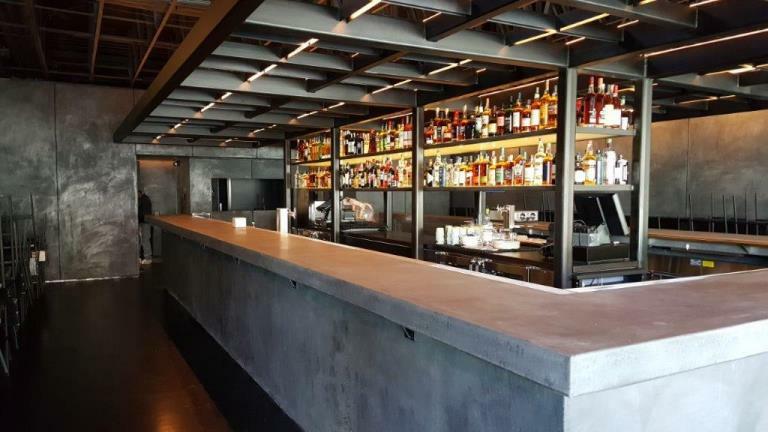 Specialized lighting, embedded in the overhead steel canopy, enhances the all-black finishes and amplifies the exposed trusses that make up the structural support of the building. Through the project ORR Builders was always receptive to meet the goals of Michael and his project and assisted in reaching the successful build-out of his very unique vision that is the newest “go to place “ and the “talk of the Town".